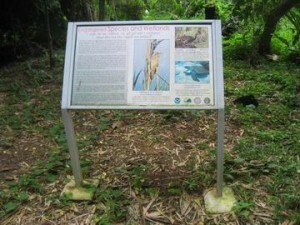 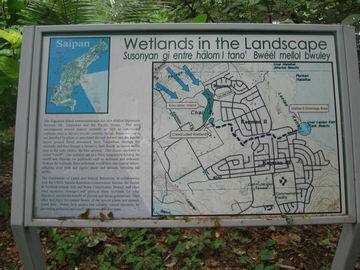 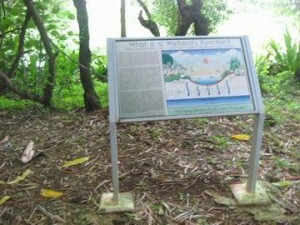 Contracted by the RC&D of the NRCS in Saipan, Commonwealth of the Northern Mariana Islands, I designed four (4) high quality interpretive wetland signs for the Kagman Wetland. 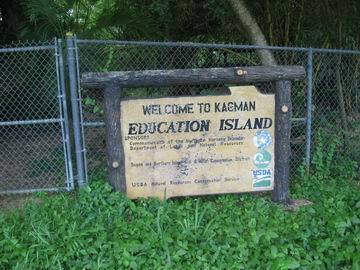 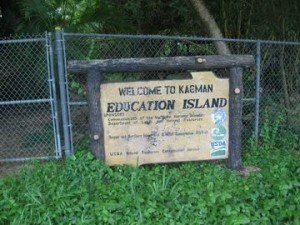 The multi-lingual signs target the student audience located at the adjacent Kagman High School. 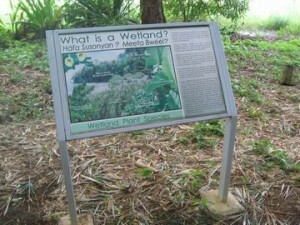 The four signs: “What is a Wetland”, “Wetland Functions”, “Endangered Species and Wetlands”, and “Wetlands in the Landscape” (linkages) focus on understanding the importance of wetlands in the community. 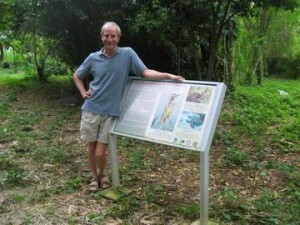 I was responsible for text, high resolution graphics, the integration of photographs of native wildlife, and the use of local language names to reinforce the importance of protecting this unique habitat and ecosystem function for the future. Contributions from Joseph Ruak, and wildlife photographers Scott Vogt and Kris Wall-Abbott have created exceptional high quality pictures for the public to learn and enjoy about the importance of wetlands in the island's environment.